Each month sees thousands of baby boomers joining the ranks of the retired, as one of America’s most significant waves of population finally reaches the age where Social Security benefits and post-work plans start to come to life. Today’s retirees are a little different from the somewhat simpler times of the past. Fewer are retiring with guaranteed pension benefits from their employers, and many will have to rely on a mixture of savings and Medicare benefits to help them enjoy a long and healthy retirement. What’s more, longevity rates are at an all-time high for Americans. Many of those retiring today could conceivably live into their late 90s (or beyond), making their financial plans and a positive credit score all the more important to long-term happiness. Today’s boomer-aged retirees are also leaving the workforce under different circumstances than their parents. According to data from credit bureau TransUnion, the average baby boomer has amassed $100,000 in debt, leaving many questioning whether they can afford to fully retire or if they will have to continue working into their golden years. The reality of long-term financial issues, even at retirement age, makes it all the more important for those in their late 50s or mid-60s to keep on top of their credit situation. The uncertainty about retirement-age financial plans means that more older folks will have to consider loans, credit cards, and other financial vehicles to help them cope with the loss of a regular paycheck. And while it might be nice to think that creditors or banks might be willing to cut a retiree some slack when it comes to paying bills on time, just a few late (or entirely missed) payments can cause a serious impact on your credit score. As a result, you might face higher interest rates on cards or be denied loan privileges. Poor credit can also impact your ability to get a second mortgage or to pursue the increasingly popular reverse mortgage as a means to help subsidize medical or other senior-living costs. Experts suggest that retirement-age folks do what the rest of the working public should be doing. That is, paying much more attention to their credit reports and engaging in financial behavior that helps build, not burden, your overall credit picture. The good news is that it is not impossible to keep on top of your credit situation, though it takes a little bit of extra dedication. Maybe a little extra time on your hands can help, if iyou can examine your purchases and other details in your credit reports and your financial statements. The three major credit bureaus, as well as many banks and credit cards, now make it easy to get free copies of your monthly credit report. They will let you know what your credit score is and can alert you to any changes, credit inquiries, or changes that might cause a drop in your credit score. You may want to consider a professional service to help monitor your credit, which can be helpful in spotting erroneous items, or tracking inquiries that have all the tell-tale signs of identity theft. More and more seniors face the same quandary as their younger working peers: How to drive down their personal debt while also maintaining their credit power. It can be tempting to go to the old standby in do-it-yourself credit repair – chopping up your credit cards – as a way of forcing yourself to make better financial decisions, but that route may not be the best, especially if you have limited resources in retirement. Your credit score is generated by a number of factors, with almost a third of the value generated by your overall credit utilization. Consumers should try to use less than 30 percent of their available credit, though people often think this suggestion applies to only the credit limit on any particular card. In fact, credit utilization looks at all of your credit resources, the pooled potential of your credit cards and lines of credit. That’s also measured against your ability to handle other existing debts such as automobile loans, mortgage payments, and outstanding student loan payments. Your mix of credit usage is also a factor. Cutting up a card means eliminating that extra credit float and shifting the burden onto a smaller available body of credit. Credit agencies also give credit score points to the longevity of an account, so closing a card, especially one yo have had and kept in good standing for many years, can also produce an accidental negative. 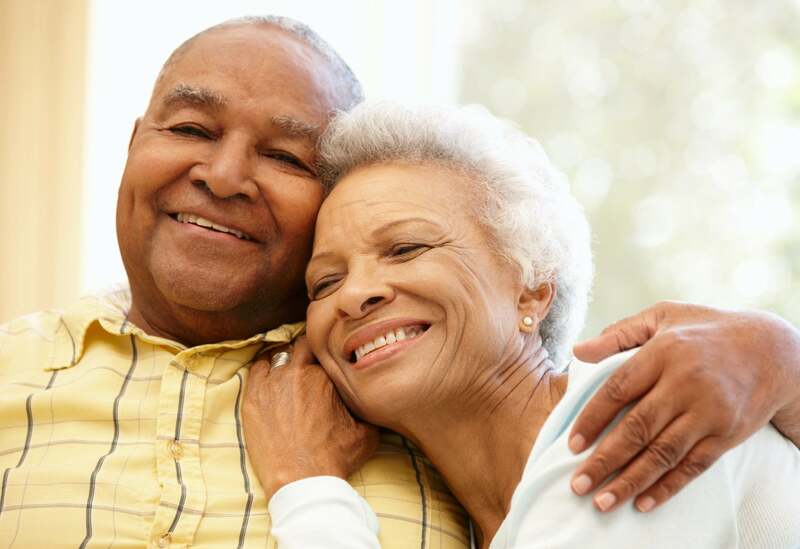 Like any other consumer, retirees and pre-retirees are wise to do their best to keep on top of their credit obligations, as payment history is yet another significant factor in retaining a positive credit score. Paying your bills on time, every time, is key to keeping creditors happy. And checking your credit report on a regular basis can help you know if you’ve accidentally missed a payment or if a creditor has said you have done so, as a billing mistake on their part. Learning to pay bills online or even via a smartphone is also an important skill to develop, and a valuable one even for seniors. Modern retirement is certainly not always the riding-bicycles-on-the-beach utopia we see in retirement investment companies’ ads, but it doesn’t have to be a financial nightmare, either. By keeping a closer look at your credit score and your use of the credit you have, you’ll have better opportunities to access financial help if you need to do so. How can I fix my credit? We can help, with an array of professional resources designed to assist you in better understanding and improving your score. You can carry on the conversation on our social media platforms. Like and follow us on Facebook and leave us a tweet on Twitter. This entry was posted in Life Events and tagged bills, credit card, debt, retirement. Bookmark the permalink.